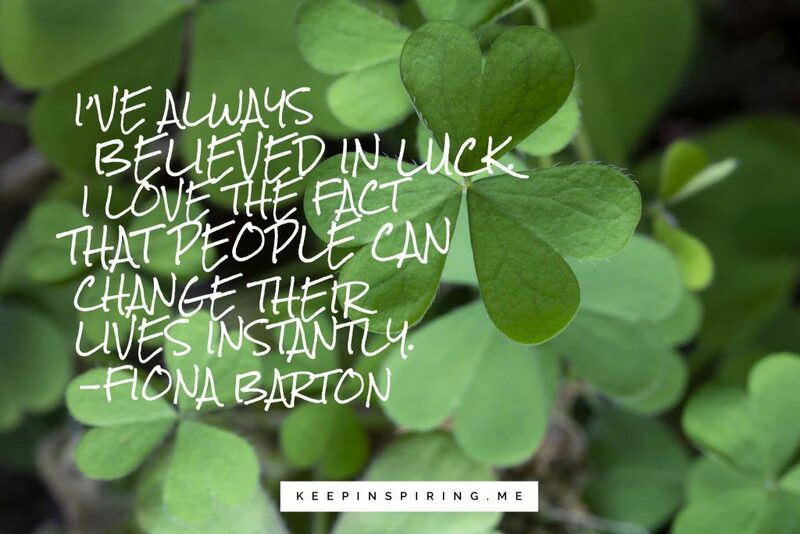 The vast majority of us believe in luck. Even those who claim they don’t are often guilty of engaging in certain superstitious behaviors: avoiding walking under a ladder, keeping new shoes off the table, not letting a black cat cross their path. These are the old wives tales that so many of us have grown up with – and we do them without thinking about it, whether we think they will affect our luck or not. 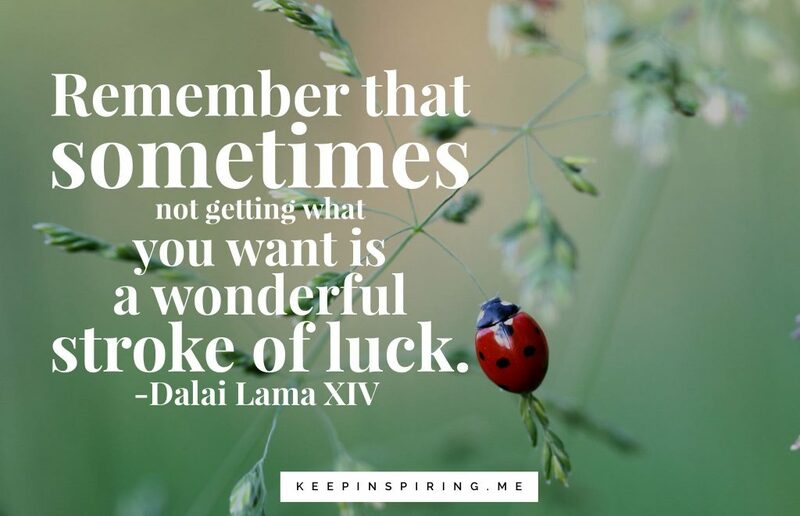 Whether there actually is some kind of metaphysical explanation behind luck, or whether it’s an entirely psychological phenomenon, it’s a universal truth – everybody likes to feel lucky. The feeling of luck goes hand in hand with confidence. And fortunately, our confidence is something that we can improve: it’s simply a matter of focusing on what we want and working hard. Whether that improves our luck or not is the million dollar question. 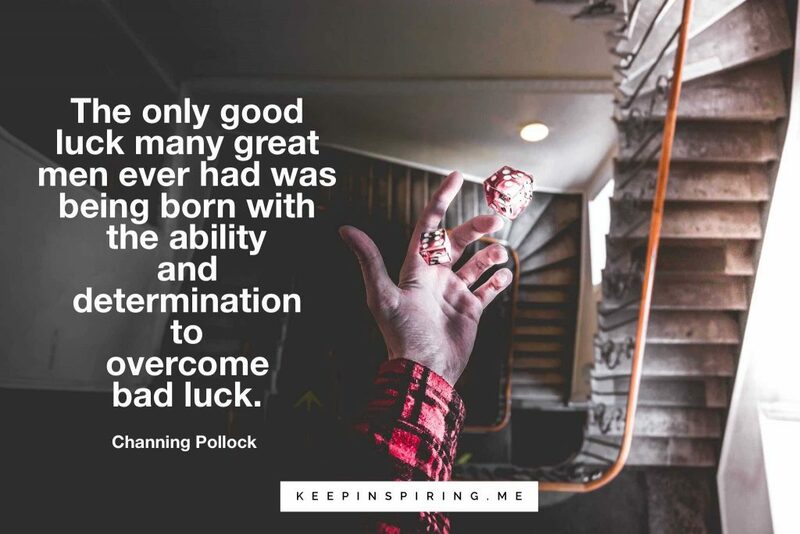 But we have to remember that feeling unlucky can be a mindset; a natural response to being underprepared for the tasks that are in front of us. And that is something we can change. Be bold and take chances and you’ll often find that situations will support your goals. Fortune favors the bold, as they say. Try to adopt a growth mindset, where challenges are always an opportunity to improve and succeed. Whenever an opportunity arises for you to test yourself, try to imagine that it, too, is good luck. 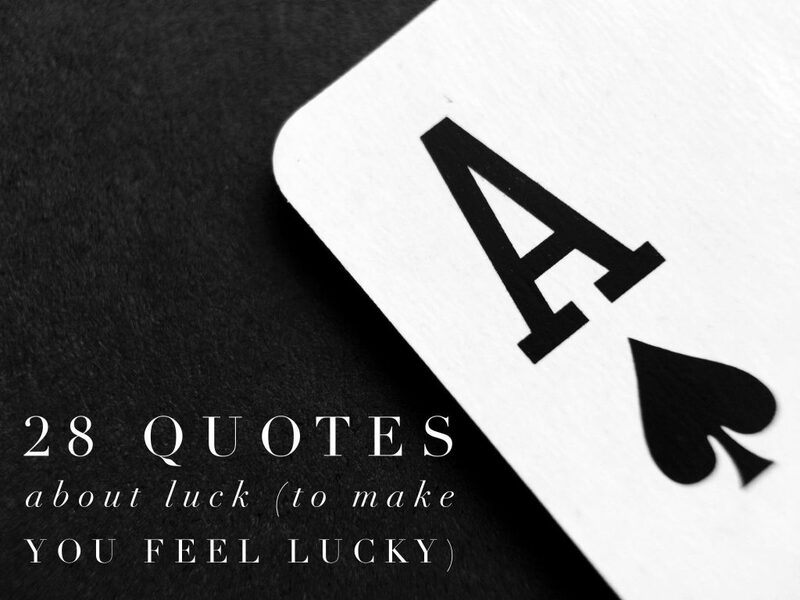 We’ve put together a selection of the best quotes to help you better understand luck, and harness the power it brings. 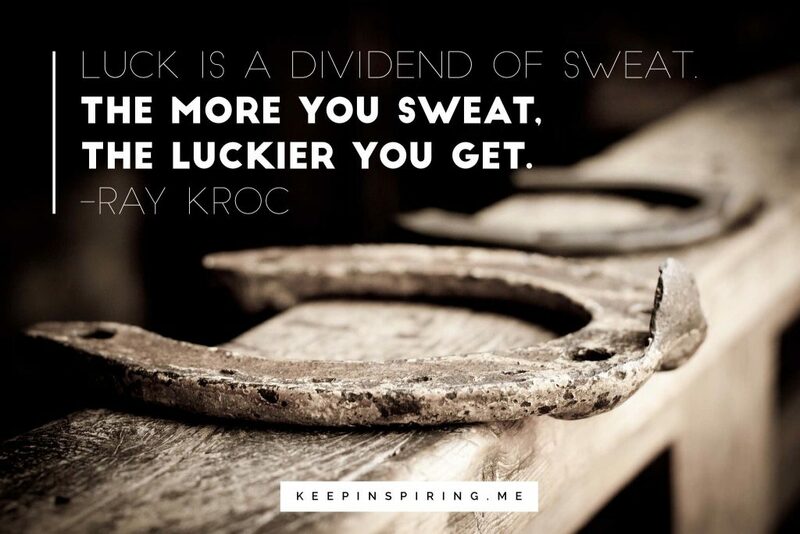 Here are 28 quotes about luck to make you feel lucky! Do you believe in luck? 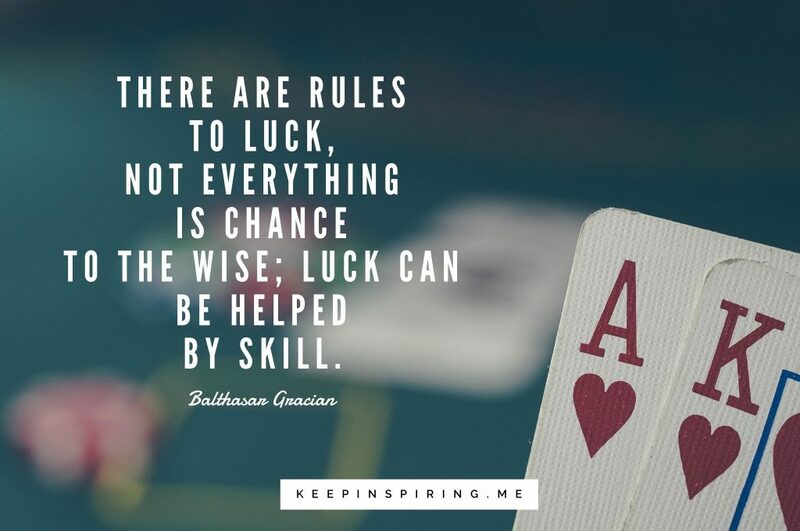 Share your favorite quotes about feeling lucky in the comments!